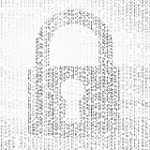 We now have a pgp key to use for encrypted communication, for those of you who may wish to use it or require it. Click here to download it in .asc text format (armored). Between the 12th and 17th of September 2015, some participants in the network of Contra Info carried out a series of actions in solidarity with Evi Statiri, prisoner in struggle in Greece, who has undergone hunger strike since September 14th, demanding an end to the preventive detention that was imposed on her six months ago. Contra Info is an international multi-language counter-information and translation node, an infrastructure maintained by anarchists, anti-authoritarians and libertarians who are active in different parts of the globe. [Bilbao] Prisoners to the streets! Streets for the insurrection! Contra Info interview with Claudio Lavazza, a compa who has been imprisoned in the cells of the Spanish State since 1996; the interview was presented in the event in solidarity with long-term anarchist prisoners that took place on January 11, 2014, at La Gatonera, a squatted social centre in Madrid. On Saturday, January 11th, the squatted social centre La Gatonera, located on 9, Amistad Street in the district of Carabanchel, Madrid, hosts an info event in solidarity with anarchist prisoners facing long sentences worldwide. In the context of diffusion of factual solidarity with anarchist prisoners in the Greek dungeons, on Saturday, April 27th, 2013, we meet at the Centro de Cultura Libertária, an anarchist space in Cacilhas, Almada, by 4pm, where there will be discussion and benefit vegan kitchen.